This year Mom decided to let the girls each have a fun birthday day where they got to plan out the ENTIRE day of activities. I’ve learned that Reagan can really pack a day, which was fun, but we probably won’t be repeating this adventure. Not at least until Dad wins the lottery. First things first, breakfast. This one was easy. 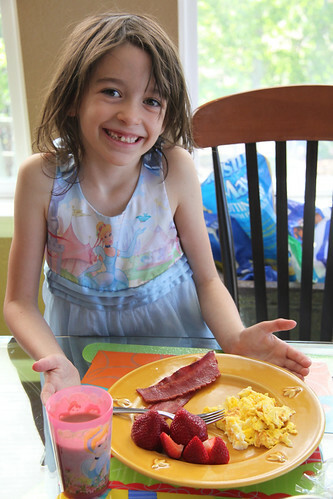 She requested Moms’ bacon and eggs with strawberries. I can do that. Lunch was to be served at Red Robin. Dad, Reagan and Kayla loved this one. Mom and Sydney NOT. 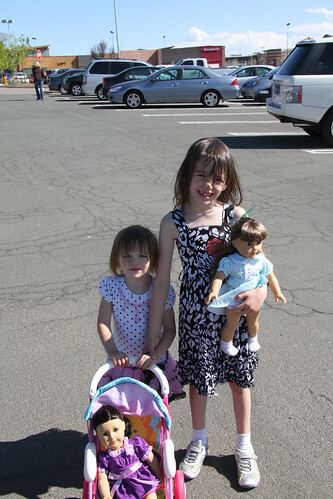 Next up, a trip to the American Girl Store. This adventure was also a part of Sydney’s birthday as we were not coming back here in just a week. Apparently Molly and Josephina were in need of their own beds. 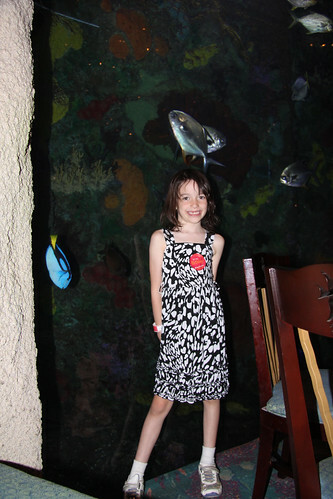 Once shopped out the next stop would be the aquarium which is always a good time. Dinner of choice was at the aquarium restaurant which is super fancy and super yummy. Dinner was appreciated by all. Finally, at home after a full day of birthday events. The dessert of choice was a big cookie. No cake for this girl. 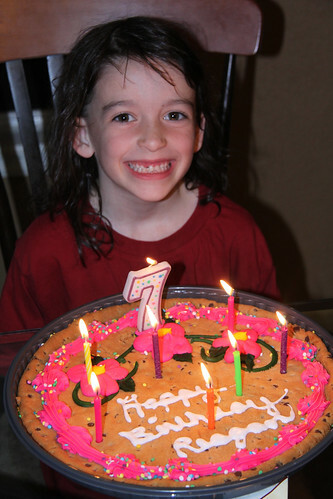 Even at 7! Hope you had a great day! You are so worth it all.